As everyone knows Rangamati is the most scenic spot to visit in Bangladesh. Rangamati is popularly known as Lake City. It is surrounded by alluring forests, hills and many attractive attractions. This is the best spot for Eco-tourism. 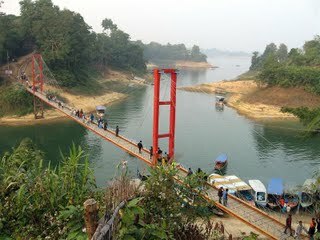 Rangamati is situated 77km from Chittagong. It is connected by stream from Kaptai. This is the place where you can visit any time. The most amazing time to visit this place is rainy season. During this time when waterfalls, rivers were in full boom with its amazing scenery, lovely lakes, its immense flora and fauna makes Rangamati one of the favorite tourist spot in Bangladesh. The flora and fauna of Rangamati were spreading along a large area with varied types of plantation. Rangamati is the place where you could spend your time with family and beloved ones while viewing the natural beauty. There are so many attractions like Hanging Bridge, Kaptai Lake, Tribal Cultural Museum, a different variety of tribal’s, lakes, textile products, etc. 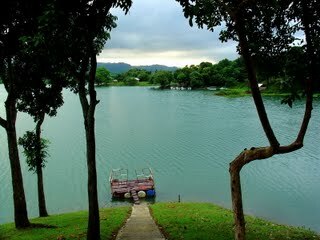 You can spend time here while fishing, boating also. Kaptai Lake: The most recognized and prime attraction in Rangamati is Kaptai Lake. Kaptai Lake is surrounded by immense beauty. One can enjoy here boating also. It attracts national as well as international tourists. The lake was created as a result of hydro-electrical project over the Karnaphuli River. Tribal Museum: It was established in the year 1978. The museum focused on cultural and historical tradition and socio-economic themes. The items includes tribal ornaments, dresses, statues made of wood, bronze and other metals, coins, ivory products, paintings on tribal life etc. Hanging Bridge: It is the prime spot for tourists. When you cross over the hanging bridge, definately feel the nature`s beauty. While crossing the bridge you could see the greenery of this place. You can also take trip in boats below the bridge. So beautiful Rangamati i wil sure visit this place after reading ur blog.Thank u for giving information about this nice tourist destination. Kaptai lake is a very nice place to visit. Visiting that place would be nice while riding a boat.